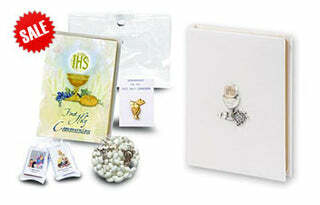 St. Therese of Lisieux's parents have inspired millions. A project to end the drug scourge in Uruguay has drawn inspiration from the recently canonized parents of the "Little Flower" Saint Therese of Lisieux. Saints Louis Martin and Saint Zelie Guerin. Montevideo, Uruguay (CNA/EWTN News) - Saint Louis Martin and Saint Zelie Guerin, whom Pope Francis canonized in October 2015, are the namesakes of a chapel in the headquarters of the Renacer Project. The Catholic initiative, whose name refers to being born again, has worked for 28 years to aid the full rehabilitation of drug addicts and their families. "How good it is that this chapel is dedicated to those holy parents, a holy couple. Here we see the victory of love, purity, beauty, and the joy of the family gathered together," he said. 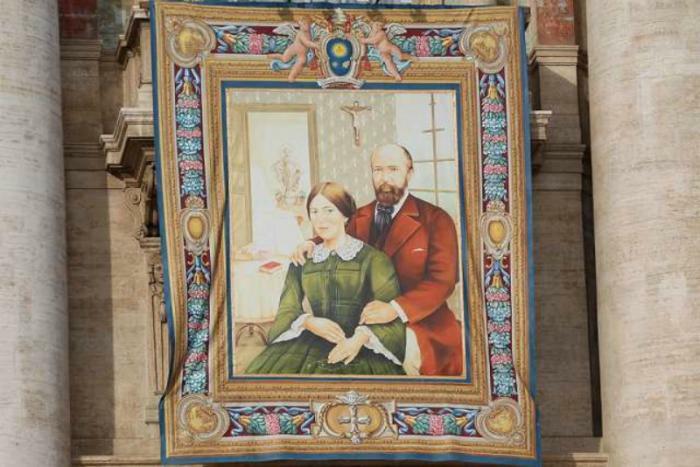 A Vatican tapestry of Louis and Zelie Martin, who were canonized in St. Peter's Square (Martha Calderon/CNA). Cardinal Sturla quoted the words Saint Therese dedicated to her parents: "They were more worthy of heaven than of earth." "The joy of a truly Christian family is to experience the joy and honor it means that Jesus has laid his eyes on one of their children and called him or her to the priestly or religious life. And until there are many families in Uruguay who feel that, how far we will really be from being Christians," the cardinal said. For the cardinal, the key to this marriage was "the systematic life they lived of daily Mass, prayer, meditation and teaching the children about God from an early age." 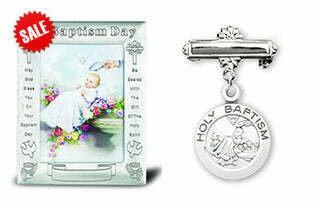 "Christian parents know that the most important thing they can hand on to their children is the faith. It is the footprint that God left in each one of us," he said. The Chapel of Saint Louis Martin and Saint Zelie Guerin is the Renacer Project's third chapel. Its dedication coincided with the 25th anniversary of the ordination of its founding priest, Carmelite Father Gustavo Larrique. "What do Zelie, Louis and their daughters hand on to us from this place, which was a stable and now is a little chapel? The beauty of marriage, the beauty of the family. 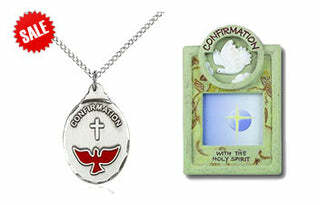 That great school of humanity and holiness," Fr. Larrique said near the close of Mass. With the Renacer Project, he explained, "we try to tell everyone that life is a very precious gift, and that you have to take care of it."